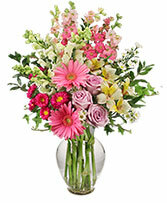 Click here for more Gift Baskets Flowers! Give your boss a break on October 16! Order your boss to enjoy Bosses Day! The job is yours! Make Bosses Day special. Love your job? Or just have a great boss? Why not let them know and congratulate them for all of their hard work. Send your boss a token of appreciation for Bosses Day 2011. 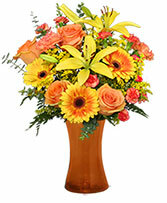 Why not send a beautiful bouquet of fresh flowers for their desk or office. Flowers for Bosses Day reminds them you care and are thankful they chose you for the job. If flowers aren't your thing, send your boss a delicious gift basket filled with their favorite anytime snacks! Send a gourmet chocolate gift basket, or maybe a candy-filled gift basket to appease their sweet tooth. Maybe a salty snacks gift basket is more their style? If your boss is more of a health-junky, send a basket filled with fresh fruit. No matter what you choose, your local florist takes out the hassle of giving gifts for Bosses Day. All you have to do is tell them what you want, and they'll take care of the rest. 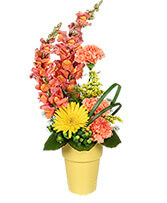 Having your Bosses Day gifts delivered will be a fantastic surprise for any great boss!